Giving to Middlesex Health ensures that the communities it serves have a hospital they need and deserve, today and in the future. Planned gifts provide resources that preserve the future of Middlesex Health. Friends of Middlesex are including the Hospital in their estate plans, providing the Hospital with necessary funding to meet the future health care needs of the community. We invite you to join us. Please consider a confidential, no-obligation conversation to join us. The Heritage Circle is made up of those who have made a special commitment, through a planned gift, to the advancement of Middlesex. When you include us in your will, or make Middlesex Health a beneficiary, you can plan a gift to us that will only take effect after your other obligations have ceased, and you'll automatically become a member of our Heritage Circle. We'd love to welcome YOU as our newest member. Mr. and Mrs.* Oliver W. Nash, Sr.
Mr. and Mrs. Edward S. Scovel, Jr.
Mr. and Mrs. Charles B. 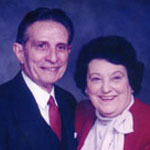 Stone, Jr.
Mr. and Mrs. Louis J. Tempel, Jr.
*Members of the Heritage Circle who have passed away. Their support of Middlesex Health and gifts through their estates will be appreciated for years to come. Naming Middlesex Health as the beneficiary of a qualified retirement plan asset such as a 401(k), 403(b), IRA, Keogh, profit-sharing pension plan or other donor-advised funds or life insurance, will accomplish a charitable goal while realizing significant tax savings. You can turn underperforming assets (stock, cash in a savings account, CDs, savings bonds, etc.) into a gift to the Middlesex Health that provides income to you. Your Charitable Gift Annuity will give you quarterly, fixed payments for life and tax benefits, too. When you donate appreciated stocks, bonds or mutual fund shares instead of cash, you'll receive charitable deductions at full, fair market value while reducing capital gains impact. If you're 70-1/2 or older, you can make a gift directly from your IRA to Middlesex Health. While there is no charitable deduction for a rollover gift, you do avoid the income tax on the donated portion of your required minimum distribution. Name Middlesex Health as a beneficiary of your donor advised fund. Designate Middlesex to receive all or a portion of the balance of your fund through your fund administrator (you can also make a grant to us at any time from your donor advised fund). The balance in your fund passes to Middlesex Health when the fund terminates. There are many giving options available to you, such as naming Middlesex Health as a beneficiary in your will and charitable gift annuities that provide steady income for you and your family during your lifetime. For more information, please find our contact info below, or submit this form. Make a Gift I would like to learn more about supporting Middlesex Health with a planned gift. I have already included Middlesex Health in my estate plans. I haven't made plans for Middlesex Health in my estate, but it's on my to-do list. If you are working with a professional advisor or advising a donor, here's a useful guide for including Middlesex Health in a charitable estate plan. Middlesex Health has been an important part of Carol Parmelee-Blancato's life for decades. 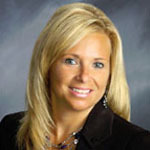 She became a Hospital corporator during her tenure as Superintendent of the Middletown School District in the early 2000s. Her sister, Bernice Bell, attended the Ona M. Wilcox School of Nursing and was a nurse leader at Middlesex Health for 30 years. Carol's mother, Blanche Dumeer, lived at One MacDonough Place, the Hospital's assisted living facility in Middletown, until her passing at the age of 94. "Mom received quality care from the compassionate and devoted staff at One MacDonough Place, which was truly her home," said Carol. "And my brother and I will always be grateful for the care that Middlesex Health Hospice provided to my mom at the end of her life. She rallied four times due to their supportive care," said Carol. "Mom wished to pass away at home, and Hospice care made that possible." To recognize her sister's commitment to the Hospital and the extraordinary care that her mother received, Carol has named Middlesex Health as a beneficiary of one of her annuities. "I've always believed that I should give back," said Carol. "This is something that I spoke about at all of the high school graduations that I addressed. This community has so many great resources and services, and we are fortunate to have access to exceptional medical care. Middlesex Health is a first-class, state-of-the-art medical institution with progressive and comprehensive health services. I wanted to support the Hospital beyond my lifetime and can do so through my estate plan." In addition to her support of Middlesex Health, Carol was actively involved with many local organizations during her near four-decade career in the Middletown Public Schools including the Middletown Rotary Club and the Kiwanis Club and its Warm the Children program. "I want the best for Middletown, and that is why I want to support the important institutions in our community like the Hospital," Carol said. Thank you to Carol Parmelee-Blancato for her service to Middlesex Health and for including the Hospital in her estate plan. 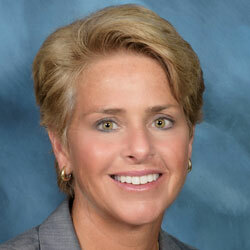 From the day she was born, Kelly Smith has had a relationship with Middlesex Health. Kelly and her four siblings were all born at the Hospital, known as Middlesex Memorial Hospital at the time, as were her two children. Kelly's mother and sister are graduates of the former Ona M. Wilcox School of Nursing, a program that was run by the Hospital for nine decades. Kelly also has vivid memories of spending a week in the Hospital to recuperate from a bout of mono. Her father drove as close as possible to the Hospital's window so that her brothers and sisters could wave to her from a highway overpass. Now a local businesswoman, Kelly has dedicated her time to giving back to the Hospital and to other local nonprofit organizations. When Kelly began to think about making a difference beyond her lifetime, she made the decision to purchase a new life insurance policy and named Middlesex Health as the beneficiary. 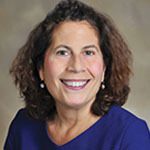 It was her first legacy plan, and she was inspired to take action because of her volunteer service as a Hospital corporator and as a member of the Middlesex Health Community Council and the Hospital's Philanthropy Advisory Council. "I am happy to do everything I can to support the Hospital," Kelly says. "I am proud that we have a Hospital in our town that offers so much. My longtime involvement as a volunteer and my many family connections to the Hospital have been so meaningful in my life. I love my volunteer work. I am passionate about my community. It's just who I am. If I could make a living as a volunteer, I would!" Kelly has a favorite saying that captures her lifelong passion for her community: "Life is an echo. What you send out comes back. What you sow, you reap. What you give, you get. What you see in others exists in you." Thank you to Kelly Smith for her long-standing support and advocacy for Middlesex Health and for including the Hospital in her estate plan. Although he moved away from Middletown more than 50 years ago, the community continues to hold a special place in Richard Daniele's heart. It was Middlesex Health physicians who cared for his father's heart condition and for various family members' ailments over the years. After years of making donations to support the Hospital's Critical Care Unit, Hospice & Palliative Care, and other programs, the Danieles decided to name Middlesex Health as a beneficiary in their will. "My wife and I don't have children, and we feel very strongly that we should give back. Middlesex Health has been serving the community for years. I wanted to support my hometown, and the Hospital is such an important institution for the community that will be there for years to come." As a boy growing up in Middletown, Richard recalls visiting his father's bowl-a-drome - which he owned and operated in the North End of the city in the late 1940s, before selling it to focus on his plumbing and heating contracting business. 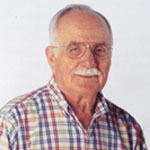 Richard attended what was then known as Woodrow Wilson High School and left Middletown to pursue a degree in education. 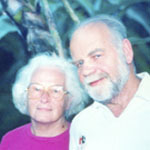 Richard and his wife Kathleen were career educators. They received bachelor's and master's degrees and sixth-year certificates of advanced graduate studies in educational administration. Richard was employed by the New London Board of Education, and Kathleen was employed by the Waterford Board of Education. In addition to supporting Middlesex Health, the Danieles support many local charities in their current community, including health care, the local library, and others. Thank you to Richard and Kathleen Daniele for including Middlesex Health in their will to benefit generations to come. At 25, working at a Hartford law firm, Jean D'Aquila invested in a life insurance policy that she imagined would benefit her future loved ones. 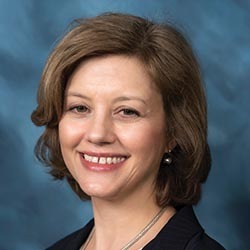 Well into a successful career as an attorney and with the ability to provide for family members in other ways, she says, "I began to think about the world in a bigger way and reflect on how I might help local charities beyond my lifetime." Jean decided to name Middlesex Health and two other local, nonprofit organizations as beneficiaries of her longstanding life insurance policy. Jean has helped hundreds of clients prepare their own wills and estate plans, encouraging each to consider a philanthropic legacy. "I start the conversation by sharing that I have some causes that are near and dear to my heart and asking if they have considered including a special organization in their plans. When people have young children, that is their priority - to get them through college. As we age, we take another look at how we might make a difference in the world beyond our family." 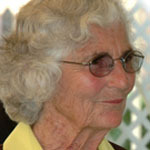 Jean served as a Hospital corporator for many years before becoming a board member. A friend's battle with cancer led to a profound and personal connection to the Hospital. "There was so much dignity and love," Jean shares when remembering the nurses, physicians, and others who cared for her friend at the end of her life. Jean's approach to philanthropy is, in her words, "quiet." "I may never meet the people that I am helping, but I trust that the institutions I support, like the Hospital, know where the greatest need is and will make the right investment for my community." A quiet act of charity made a tremendous difference in Jean's life, though she didn't know it at the time. Months after enrolling as a freshman at Mercy High School, a private, Catholic girls' school in Middletown, Jean's father died, leaving his wife and four children behind. Jean figured that there wouldn't be money to pay tuition and that she would have to leave the school. But she continued at Mercy, earning good grades and getting involved in numerous activities, including volunteering. Following graduation, Jean's mother shared that the high school principal, recognizing Jean as an outstanding student facing a challenging circumstance, had allowed her to finish high school tuition-free. Years later, Jean continues to "pay it forward," giving back to the community in which she was born. Thank you to Jean D'Aquila for including Middlesex Health in her estate plan to benefit generations to come. A fixture in Middlesex County, particularly as a fundraiser and executive for the not-for-profit sector, Patti Anne Vassia is having fun being on the other side of the table. Rather than seeking support for any number of worthy causes, she is relishing her role as a philanthropist. Her first stop on the giving road is Middlesex Health, where she established a charitable gift annuity. Her gift will ultimately benefit the Hospital while lowering her taxes and providing her with a fixed annual income during her lifetime. "Middlesex Health is foundational to the community," Patti says. "My life's work has been to build a healthy community - and what better place to leave a legacy than to the Hospital, the institution charged with keeping all of us healthy?" While Patti has had a professional relationship with the Hospital for decades as a Corporator, her relationship with the institution became profoundly personal when her father moved from his Florida home to One MacDonough Place, the Hospital's assisted living facility in Middletown. Robert "Bob" Vassia called the place home from the age of 96 to 102. "The best years of his life were his last six," Patti recalls. "It wasn't just the excellent care he received, it was the stimulating life he was able to live. He took advantage of everything! He never missed a painting class; he created beautiful works including impressionistic florals." For her father's 100th birthday, the resident chef planned his favorite Italian meal, a memorable feast served in the private dining room with many friends. "My dad's caregivers allowed me to be the daughter - what a gift," recalls Patti, who visited her father nearly every evening to enjoy a glass of scotch with him. When Patti tears up, she explains, "I don't cry about my dad's passing, but about the wonderful care he received." Patti originally came to Middletown to work as a youth and women's director at the YMCA, became a fundraiser for the institution, and then served as the executive director of the Middlesex United Way for 18 years before becoming the founding president of the Community Foundation of Middlesex County. Patti could have retired with the satisfaction of having made a tremendous impact on our community, but she remains actively engaged as a volunteer on not-for-profit committees and community projects. Thank you to Patti Anne Vassia for your enduring support of Middlesex Health. The saying accompanying Bob Drouin's photo in his high school yearbook says a lot about the man: "Silence is golden." Bob was a quiet person who listened to people and embraced the role of provider. He worked from a young age, starting at a grocery store and eventually becoming an officer at The Hartford insurance company. When Bob passed away, his sister Anita discovered that by thoughtful planning in his will he had left a sizable portion of his estate to ten charities - including Middlesex Health, Mystic Seaport, Fidelco Guide Dog Foundation, and United Way. Anita served as executor and noted that "his beneficiary choices were not random." "He would have researched each organization," she said. "Everything was spelled out. All of the donations were restricted for a particular purpose." According to Bob's wishes, his estate gift to Middlesex Health will be used for the purchase of new medical technology and equipment. "Bob understood that medicine is constantly changing and that equipment needed to be updated," said Anita. "He benefited from a Triple-A stent procedure at the Hospital, and he wanted to provide for other patients in the future." Upon retirement, Bob worked for the Hospital coordinating the Lifeline medical alert program; and he also served as a volunteer, making countless friends and presiding over lively lunchtime discussions. Bob was the patriarch of his family, hosting siblings, nieces, and nephews for his favorite holiday, Christmas, which he did for more than 30 years in a house decorated with care and countless Santa figurines. Anita shared, "Middlesex Health was here for Bob, not only for his health needs, but the Hospital enabled Bob to continue doing good in the world. He specialized in helping people in need." In keeping with the private person that he was, Hospital staff was unaware that Bob had included the Hospital in his estate plan. Middlesex Health thanks Bob Drouin for his years of service to the Hospital and the community and for creating a legacy that will benefit others for years to come. Joseph and Mary Adorno led very full lives, raising their family of three daughters while pursuing professional careers. Central to their lives was a strong belief in giving back to their community. They both made the time to make meaningful contributions to many organizations. Judge Adorno represented the epitome of the public servant. He had a long and distinguished career as an attorney and in serving the State of Connecticut as a judge-reaching the level of Superior Court judge. He was also active with the Middlesex County Bar Association, the local Elks club, and the Garibaldi Society, and he served as a board member of Middletown's Russell Library and as a corporator of Liberty Bank. Judge Adorno was honored for his commitment to the National Foundation of Infantile Paralysis and received its distinguished service award. Mary's commitment was equally strong; she gave unselfishly of her time and talents to many community and civic organizations. 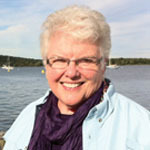 Among the many organizations to benefit from Mary's involvement were the Community Chest (now United Way), the YMCA, the Red Cross, and the Cerebral Palsy Association. According to her daughters, Mary felt her greatest contribution, and the one she was most proud of, was her involvement with Middlesex Health. Mary was a Hospital volunteer for 52 years, contributing an impressive 5,570 hours of volunteer service. Those hours were served in the gift shop, in the thrift shop, at the reception desk, and by visiting patients. Mary especially enjoyed knitting baby caps for the newborns in the Pregnancy & Birth Center. In addition, Mary was president of the Middlesex Health Auxiliary and was honored to be appointed a corporator of the Hospital in 1969. Following Mary's death in 2005, her daughters made a significant gift in memory of both Mary and Joseph. "It is enormously satisfying for us to make a gift to Middlesex Health in honor of our parents. The gift symbolizes their giving spirit and carries on their legacy of giving back to their community." Through this special remembrance, the extraordinary lives of Joseph and Mary Adorno will continue to touch many served by Middlesex Health. For information on how you, too, can make a difference in the health care available to our community, please contact the Office of Philanthropy at Middlesex Health. 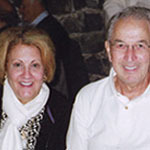 Lifelong companions, friends, and husband and wife, Albert and Anne Winter, have shared just about everything in their relationship-their love of travel, quest for learning, desire to experience new things, and a commitment to support organizations that matter to them-like Middlesex Health. Albert was born and raised in Vienna, Austria. As a young man, he moved to Great Britain to complete his studies, graduating in industrial engineering. In the "Swinging '50s," as Albert likes to call those years, he met his wife at the English-Speaking Union in New York City after relocating for work across the Atlantic. Native New Yorker Anne had already traveled worldwide. She served as a communications officer in the Coast Guard during World War II, responsible for coding and decoding military material. Following the war, rather than choosing government work in Washington, D.C., Anne decided to explore the world a bit. She opted for New Zealand and studied at a university in Christchurch. From there, Anne moved to Japan for a position in foreign trade and economics. Finally, after crisscrossing the globe, Anne returned to New York City, where fate took her to Albert on an evening out at a favorite gathering place, frequented by interesting people and offering lively conversation. Once married, Anne and Albert moved around throughout the United States-Albert being active in the graphic arts industry and Anne now working as a librarian. They continued to travel-exploring the exotic, the picturesque, and from time to time, some extreme climates. After their globetrotting, they chose Madison, Conn., as the perfect spot for their retirement years. As new residents back in the mid-1980s, they quickly realized the value of having the Middlesex Health Shoreline Medical Center nearby. Presently, Albert has passed the five-year mark after successful cancer treatment and Anne is now fully recovered from her cancer surgery. As a result of their health care experiences, both had a desire to give back to Middlesex Health and have become members of the Heritage Circle. Anne and Albert return to their beloved Europe almost every summer. Between these jaunts, however, they are quite content to enjoy the beautiful Madison shoreline, which they fondly refer to as the "Riviera of New England." Middlesex Health truly appreciates the Winters' generosity and warmly welcomes them to its family of donors. Betty Laufer was known for her unwavering loyalty to the people she loved, dedication to Jewish causes, and a natural affinity for creative arts. Her remarkable life will continue to touch and inspire many. Betty was born in Tel Aviv in 1931 and attended the Women's International Zionist Organization's (WIZO) art and design school. After graduation, she used her talents to work as a designer of children's clothing. In 1950, she married Sol Laufer, a Holocaust survivor, and began a happy, productive, and fruitful 54-year marriage. In 1960, Betty, Sol, and their two young daughters immigrated to the United States, where Sol hoped to realize his dreams of a better life. There were several moves and the addition of a son before the Laufers settled in Middletown. When the family was young, Betty devoted herself to her children's education, activities and social lives, while running the household. She also worked full time as a technician in an electronic assembly plant to provide the financial resources necessary for the children's college education. Once the children were grown, Betty refocused her energies on Jewish causes and became an active member of Congregation Adath Israel, Haddasah, and B'nai Brith. Betty's love of life and the importance of family helped to create remarkably strong bonds among her children, their spouses, and grand children. Each generation has wonderful memories of holiday celebrations orchestrated by Betty. 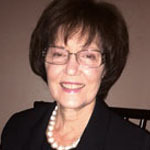 Desiring to remember his wife in perpetuity for her tireless efforts toward preserving Jewish education, Sol established an endowment in Betty's name at Hebrew College. This endowment will provide scholarships each year for students pursuing a master's degree in Jewish education or art. Additionally, in gratitude for the care Betty received prior to her death in 2004, Mr. Laufer established a charitable gift annuity to dedicate a room at the Middlesex Health Weiss Hospice. Mr. Laufer's gifts remind us all that we, too, can make a difference in the lives that follow. Through these gifts, and in the ways in which Betty touched many lives, she will be remembered. Alice Park, a Bostonian, attended the New England Deaconess Training School for Nurses. While she didn't share much about the care she provided to her patients, her son Charles admired her profession and wanted to support nurses in a way that would honor his motherâ€™s legacy. This inspiration brought Charles Park to the Middlesex Health Office of Philanthropy. He had a "few dollars" as he put it, "and if the good Lord keeps me independent 'til I go," he wanted to leave a bequest to Middlesex Health to pay tribute to his mother. After careful planning with his advisor, and staff from the Office of Philanthropy, Charles established the Charles M. and Alice G. Park Fund for Nursing Education, which would be funded by proceeds from his estate. 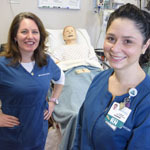 Charles passed away in 2016 and his named fund was established to support continuing education for nurses at Middlesex Health as they earn advanced degrees and specialized certifications. Charles was a spirited man. His lifelong hobby-building small model locomotive steam engines and testing them on 15 acres of track with other enthusiasts-kept him busy during his long life. We thank Charles for establishing a fund that will benefit nurses and their patients for years to come. These words aptly describe Charlotte "Sharlie" Barringer, a longtime Hospital volunteer and donor. Sharlie grew up in a family that believed in the value of caring for others. Sharing the family's food or doing a kind deed for a neighbor was an integral part of her upbringing. Sharlie embraced her parents' beliefs, so, not surprisingly, volunteering has played a major role in her adult life. 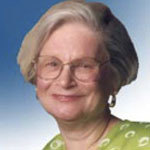 Sharlie volunteered for many organizations prior to coming to Middlesex Health in 1984. "I have always been interested in the health care field and have a particular affinity for hospice," Sharlie says. "I took the hospice training and became involved initially on the inpatient unit. I made soup every Wednesday for the patients and families and became known as â€˜The Soup Lady.'" Over the years, Sharlie also volunteered as a friendly visitor for hospice patients in their home. "It is gratifying to know that my involvement has made a difference by providing comfort to someone in his or her final days," she adds. Today, she is an active volunteer in the Pastoral Services Department at the Hospital. Middlesex Health is fortunate to have many dedicated individuals who provide not only their time and talent, but also financial support. Sharlie is one such individual. She makes an annual gift to the Hospital and learned early on that making her gifts through appreciated securities provided great benefits. "It is a very easy process," she explains, "and by using appreciated securities I am able to make a larger gift than I could with cash." Even though Sharlie enjoys the financial benefit of a tax deduction for her gift, she will tell you "the best part is that I am investing in the good work of Middlesex Health." Sharlie enjoys close family ties with her children and five grandchildren. And she values the work of Middlesex Health. "I believe in its mission and how it is carried out, and I have faith and trust in the administration and staff," Sharlie says. "It gives me a wonderful sense of satisfaction to know that my gift, in some way, is contributing to the success of the Hospital. The Hospital is an exceptional resource for the community and has earned my support." Sharlie is a wonderful example of someone who genuinely cares for others and demonstrates her passion for Middlesex Health through her volunteer work and financial support. Clearly, she has made and continues to make positive contributions on many fronts. If you would like to learn more about the benefits of making a gift to Middlesex Health using appreciated securities, please contact Laura Martino, Vice President of Marketing and Development. "She was a brave warrior," says Jean Miller, when describing her older sister, Jan Edson. "She was wise and full of grace. Stubborn too," Jean says with a laugh. Jan began her career in the laboratory at Middlesex Health and was forever grateful that the director of the lab, Dr. Christie McLeod, took a chance and hired her. Through thoughtful planning in her will, Jan left a legacy donation to Middlesex Health in gratitude for launching her career. "It was crucial to her that she give back to Middlesex Health. She loved this hospital, which gave her her start. She was forever grateful for that." says Jean. Jan Edson was the second oldest of four children, born in Coventry, Rhode Island. An active and athletic child, she contracted polio at age 13, the treatment for which including 11 months in the hospital and a year in a rehab hospital out of state. The disease left her paralyzed and unable to walk. Jan used crutches, leg braces and eventually a wheelchair and an adaptive car and bicycle to get around independently. Jan was advised in high school not to bother pursuing a college degree because of her disability. "It was a day and age when people with handicaps did not pursue independent lives. They were expected to stay home and be taken care of by their families," says Jan's sister Jean. This was not for Jan. She graduated from the University of Rhode Island in 1962 and pursued a degree in hospital administration from the University of Hartford. In addition to becoming manager of a laboratory, she competed as an athlete in ping pong, swimming and archery. She swam in the ocean every chance she got. At age 50, she took sailing lessons and learned to navigate a boat. 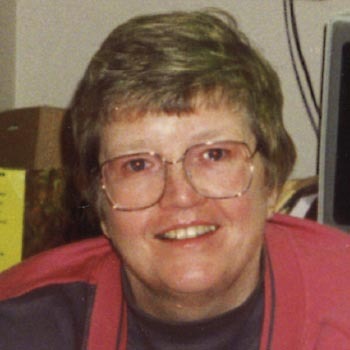 After retiring, Jan was actively involved in her church and community and travelled extensively with her lifelong companion throughout the United States, Asia, and Jordan. She even met the pope during a visit to Europe. In a letter to her mother, Jan wrote "My life has been so full...it overflows with friends, family, courage, adventure, knowledge, and a zest of life. My accomplishments . . . have been so varied, so rewarding, so exciting, and so humbling." Jan's final days were spent on the inpatient Hospice unit at Middlesex Health, which she described as the closest thing to being at home. Many thanks to Jan Edson for including Middlesex Health in her will and for her years of service to patients while working in the Hospital's laboratory.